Compliance with OSHA rules about workplace safety requires employers to know exactly what potential hazards their hourly workers may be exposed to—at every stage of every task they perform. OSHA requires employers to identify hazards, prevent them if they can, and control them if they can’t. 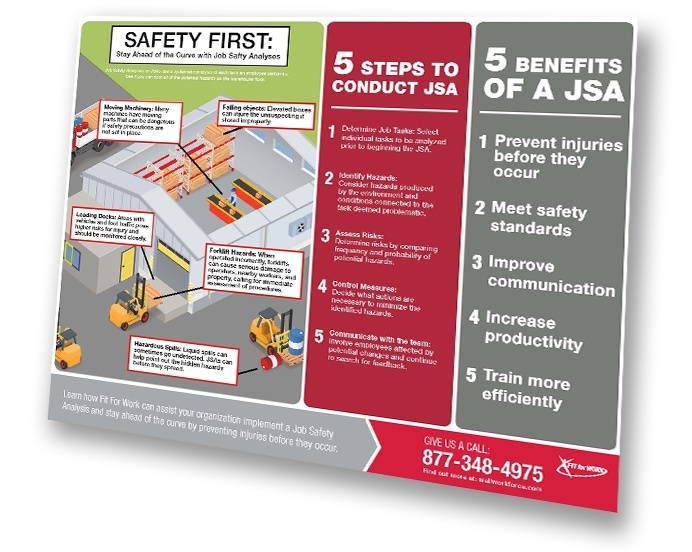 The JSA is a systematic analysis of every task, and sub-task, that your hourly employees perform in doing their jobs and the physical circumstances in which they perform them. Job Safety Analysis can do for your organization!